Los Angeles, CA – October 9, 2018 – 102.7 KIIS FM, L.A.’s #1 Hit Music Station, today unveiled the star-studded lineup for the station’s annual holiday concert, KIIS FM’s Jingle Ball 2018, Presented by Capital One®, taking place on Friday, November 30, 2018 at 7:30 p.m. at the Forum. KIIS FM’s Jingle Ball 2018 is part of the national iHeartRadio Jingle Ball Tour Presented by Capital One, the season’s biggest annual music event that captures the holiday spirit of the iHeartRadio app, in Dallas; Los Angeles; San Francisco; Minneapolis; Boston; Philadelphia; New York; Washington, D.C.; Chicago; Atlanta; Tampa and Miami/Ft. Lauderdale. Ryan Seacrest, host of KIIS FM’s top rated “On Air with Ryan Seacrest” morning show, officially announced the all-star performers for the KIIS FM Jingle Ball 2018 which will include: Cardi B, Shawn Mendes, Calvin Harris, Camila Cabello, Khalid with Special Guest Normani, Dua Lipa, G-Eazy, Alessia Cara, Bazzi and Bebe Rexha. For the fourth straight year, Capital One will be the national presenting partner for the iHeartRadio Jingle Ball Tour. As part of this sponsorship, Capital One cardholders will be the first to get exclusive access to high demand tickets through a special iHeartRadio Jingle Ball Capital One Cardholder Pre-Sale. The iHeartRadio Jingle Ball Capital One Cardholder Pre-Sale will begin on Wednesday, October 10 at 10 a.m. local time and runs through Saturday, October 13 at 10 a.m. local time, or while supplies last. Tickets will be available at www.iHeartRadio.com/CapitalOne. KIIS CLUB VIP Members will have access to purchase tickets on Saturday, October 13 at 11 a.m. local time. Any remaining tickets will go on sale to the general public on Monday, October 15 at 12 p.m. local market time and will be available at www.iHeartRadio.com/JingleBall. Additional proud partners of this year’s national iHeartRadio Jingle Ball Tour event(s) include: Capital One®, The CW Network, Macy’s and Tic Tac GUM. Multimarket partners include: FUJIFILM instax®, Gravity Blankets, Power Crunch Protein Bars, and Splat Rebellious Hair Color. KIIS FM’s Jingle Ball 2018 is also sponsored locally by Chevrolet. 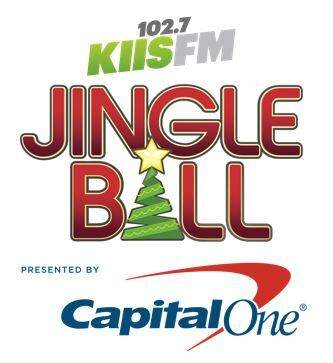 For up-to-minute information on KIIS FM’s Jingle Ball 2018, log on to www.kiisfm.com keyword: Jingle Ball or listen to 102.7 KIIS FM on-air or online via the station’s website, as well as on iHeartRadio.com and the iHeartRadio mobile app, iHeartMedia’s all-in-one music streaming and digital radio service. 102.7 KIIS FM is a leading media outlet in the Los Angeles market with multiple platforms, including its broadcast stations; live events; data; and its digital businesses and platforms, including mobile, social and its own iHeartRadio, iHeartMedia’s free all-in-one digital music, podcasting and live streaming radio service – with more than 1.7 billion app downloads and 120 million registered users. iHeartMedia Los Angeles owns and operates KIIS-FM, KRRL-FM, KYSR-FM, KOST-FM, KBIG-FM, KLAC-AM, KFI-AM and KEIB-AM and is part of iHeartMedia. With over a quarter of a billion monthly listeners in the U.S. and over 131 million social followers, iHeartMedia has the largest national reach of any radio or television outlet in America. As the leading audio and media company in the U.S., iHeartMedia serves over 150 local markets through 849 owned radio stations, and the company’s radio stations and content can be heard on AM/FM, on satellite, at iHeartRadio.com, on the company’s station websites and on iHeartRadio, iHeartMedia’s digital music, podcast, on demand and live streaming radio service, available on over 250 platforms and 2,000 devices, including on digital auto dashes, tablets, wearables and smartphones, on virtual assistants, smart speakers, TVs and gaming consoles.